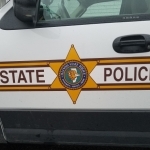 Illinois State Police say members of a Rantoul family were involved in a serious accident which shut down Interstate 57 in Ford County for about 5 hours Saturday. Troopers say a van being operated by 37-year-old Petona Mateo of Rantoul was traveling southbound when it was hit in the rear by a semi tractor trailer. The van crossed the northbound lanes overturned and burst into flames. Mateo and three other occupants were taken to area hospitals for treatment. The passengers were identified as Felipe Juan Felipe, 40, of Rantoul, along with an 11-year-old male and 9-year-old female – all of Rantoul. The driver of the semi was ticketed for failure to reduce speed to avoid an accident.